This induction was 20 years in the making! It has been tested by hypnosis professionals around the world. It is now ready for you to use for free! Hello, I’m Cal Banyan, the author of this modern and effective hypnotic induction. I have been in this profession full time for over 20 years. I have conducted thousands of hypnosis sessions, taught thousands of people how to hypnotize and do hypnotherapy. I have written books and more articles than I can count. And I want to give back to the profession in this very special way. I’m giving you and the world this new 5-PATH Rapid Induction! This powerful induction grew out of the need that 5-PATH® hypnosis professionals had to have use a fast, reliable induction that would take clients to a deep level of hypnosis (somnambulism) so that they can use the very powerful techniques which are a part of the 5-PATH® system. These techniques include age regression, age progression and tree different kinds of parts hypnosis. Classic inductions do not enable 5-PATHers the ability to do this. So I created it and then it occurred to me! Everyone needs a great induction! No matter what kind of hypnosis techniques you use the deeper the hypnosis the better. The deeper your clients are in hypnosis the more readily they will accept suggestions and the longer the suggestions will last. 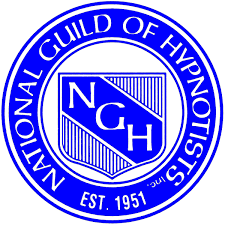 Hypnotists should always strive to provide the best induction possible so that clients achieve the greatest level of suggestibility possible. So here you go, master this induction and then you and your clients will be more successful. The 5-PATH® – International Association of Hypnosis Professionals (IAHP) contributed to the testing of this induction and is now using it as their approved induction in all of their training classes. I thank the members of the 5-PATH® group for testing this induction around the world and making many suggestions that were used to make this an excellent professional induction before it was released to the world. Older inductions have all kinds of different problems and vary in their effectiveness and efficiency. What I wanted to develop was an induction that overcame all of these problems that exist in almost every induction available. The 5-PATH® Rapid Induction overcomes these problems and more. Virtually all of them take too long. They can put someone to sleep before they get into hypnosis. They do not reliably take your clients into somnambulism. They do not have a built in test for a specific level of somnambulism. It is very efficient and comes in three different forms, the full, short and group versions. It has a self-deepening loop that reliably take clients into somnambulism. It covertly tests your client for somnambulism so that you know he/she is hypnotized. The 5-PATH® Rapid Induction is freely given to you, the members of the hypnosis community via the Creative Commons Copyright licensing system. This means that you can use it with your clients, you can use it in your classes, you can put in any book or article that you write. The only stipulation is that you cannot change the name and you must cite where it came from. The citation must include a link to this site and I must be listed as the author. I sincerely hope that you will use and share this modern, effective and efficient induction. I believe that if the profession begins to use this induction and my Eight Word Induction, together we can raise our profession to new levels. If you would like to take one of my live hypnosis courses or get any of my audio or video programs, please go to www.CalBanyan.com where I have, literally hundreds of free hypnosis training videos that you can view now. My live courses now contain this new induction as well as my other modern inductions: The Time Tunneling Technique™ Induction and Eight Word Induction.